SACRAMENTO — The Northern California Time of Remembrance Committee (Florin, Lodi, Placer County, and Sacramento JACL chapters) announces exciting and inspiring events that commemorate the signing of Executive Order 9066, which suspended due process and resulted in the unjust incarceration of 120,000 Americans of Japanese ancestry into America’s concentration centers during World War II. “Untold Story: Internment of Japanese Americans in Hawaii” chronicles the wartime incarceration experience of Japanese Americans in Hawaii. 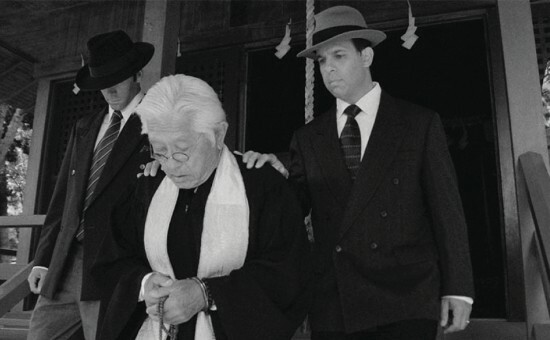 Within hours of Japan’s attack on Pearl Harbor, over 2,000 men and women of Japanese ancestry were arrested, detained and incarcerated in 17 confinement sites throughout Hawaii. Why was there no mass removal of those of Japanese ancestry and what were the conditions for the Hawaiian population following and during the war? The documentary addresses these questions. See this moving film and interact with Carole Hayashino, president and executive director of the Japanese Cultural Center of Hawaii (JCCH), on Saturday, Feb. 13, from 1 to 3 p.m. (followed by reception from 3 to 5 p.m.) at the California Museum, 1020 O St. in Sacramento. Tickets are $20 per adult, $15 for students ages 18-15 and free for students 17 and under, including complimentary refreshments, museum admission and free parking for Museum visitors in surface street lot at the corner of 10th and O streets. Proceeds will benefit all the Time of Remembrance activities, including the Discovery Program, providing students with tours of the museum’s exhibit “Uprooted! Japanese Americans During World War II” led by a formerly incarcerated docents and volunteers. Tickets for the program will be limited to 225. For more information contact Nancy Whiteside at (916) 508-6587 or nwhit[email protected]; or visit www.nctor.org or call (916) 427-2841. Discovery Program: “The Japanese American Experience,” Jan. 25 to March 18 at the California Museum. A multi-media educational program where students learn about the Japanese American experience during World War II from those who lived it. Aligning with State Content Standards on social science and language arts for 3rd through 8th grades, this learning program provides students the opportunity to experience life in an incarceration center through the first-hand experiences of formerly-incarcerated docents and volunteers. This powerful program includes a walk through a re-creation of an incarceration center barrack, plus a replica guard tower. For eight weeks, students from throughout Northern California explore concepts such as citizenship, constitutionality, and redress. The NCTOR presents these commemorative activities with its educational partners, the California Museum, the Elk Grove Unified School District, and the CSU Sacramento Library, Special Collections.